Disability Rights Maryland had another successful year participating in United Way’s 5th annual Project Homeless Connect. Project Homeless Connect provides free, on-site, direct services such as medical, dental, employment, and legal services, all held at the Baltimore Convention Center. Over 2,000 people experiencing, or at risk for homelessness attended the event on Friday, September 30th, 2016. It was amazing to see and hear how many people lined up hours before the event kicked off. In fact, the Mission of Mercy Dental Clinic, which offered services over two days, had reached capacity by 9:30 am. I had the opportunity to volunteer at My Sister’s Place, which provides meals and access to various services to women, the day before and many of the women were busy chatting about what types of haircuts they wanted to get or how receiving a new ID would help them in their daily lives. Most of the services, like getting a haircut or visiting the dentist, are often things we take for granted, however, for many of the participants these services will help alleviate some of their hardships and hopefully help them access stable housing. This was my first time volunteering at the event, but it was incredible to see how well organized this event was. Participants were quickly checked in and paired with a volunteer guide. The event space was huge and perhaps a bit overwhelming, but the volunteer guides became familiar with their participant’s specific needs as the day progressed and helped them navigate. There were some participants who visited our table and were perhaps a bit shy or not quite sure what questions to ask, but the volunteer guides were able to advocate on their behalf. 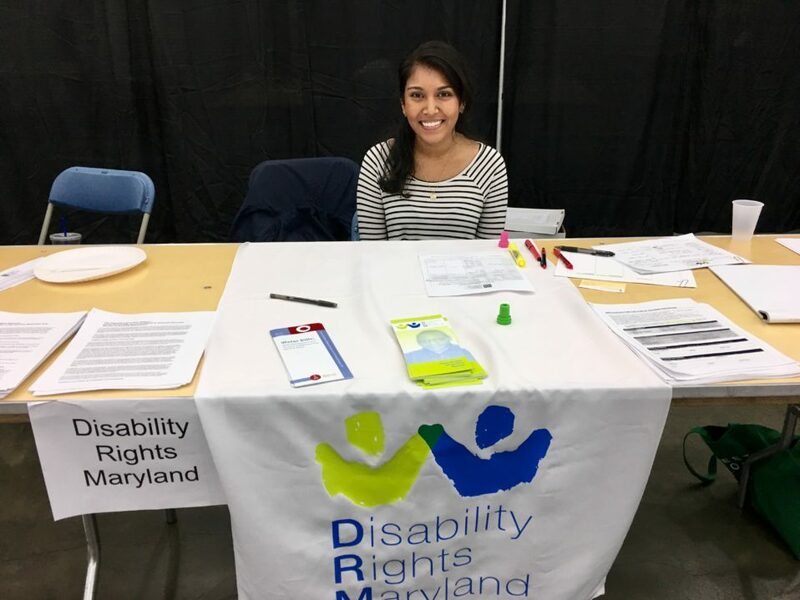 Disability Rights Maryland was one of over 130 organizations present, and helped answer their legal questions about public housing, such as how to apply, waitlist status, and more. DRM not only provided information and assistance to those experiencing homelessness, but also to providers who were excited to share our resources with their clients. There were instances where DRM did not offer the types of assistance or resources that the participant needed, however, we were almost always able to refer the participant to another service provider, just a few tables away. It was both humbling and inspiring to see how many people rely on the vital services offered through Project Homeless Connect and the vast amount of volunteers and service providers who worked tirelessly to ensure the event ran smoothly. Even though my DRM internship will be ending this year, I hope I can volunteer in some capacity at next year’s Project Homeless Connect.